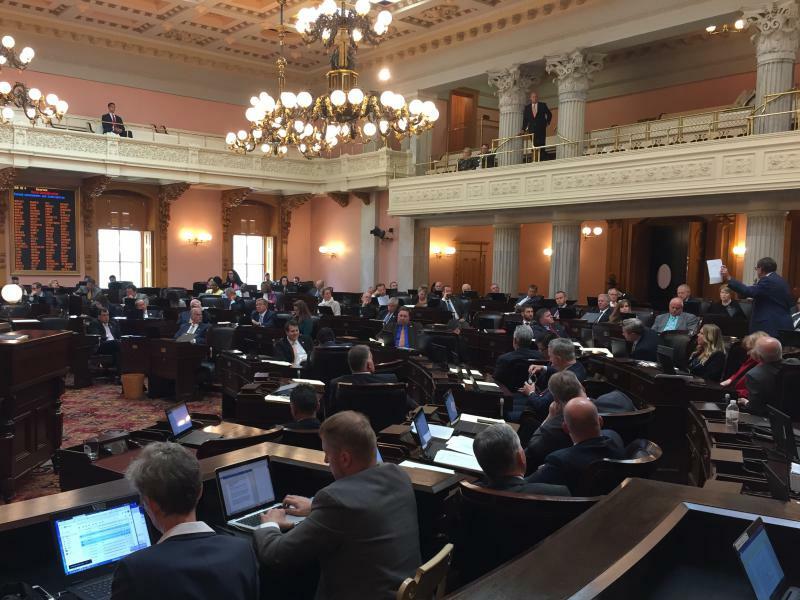 The Ohio Senate President says he’s eyeing two high-profile gun laws for next year. The issues fall on both sides of the gun control debate. Republican Senate President Larry Obhof (R-Medina) said he’d like to revisit a self-defense bill that eliminates the “duty to retreat” provision. Somewhat surprisingly, Obhof said he’d also like to take a closer look at the “red flag law,” which allows a court to take firearms away from a person who poses a threat to themselves or others. Gov. John Kasich has vetoed a pro-gun bill that would have changed the way self-defense cases play out in court. The legislation is what’s left of the “Stand Your Ground” bill after lawmakers took that measure out. Kasich objected to the bill’s shift of burden from the defense to the prosecution in self-defense cases. He also didn’t like the language taking sovereignty away from local municipalities. The Ohio Senate has approved the so-called “Heartbeat Bill," which bans abortion at the point when a fetal heartbeat is detected. The bill now goes back to the House. When it reaches Governor John Kasich, he has said he’ll veto it. He’s also said he’ll veto a “Stand Your Ground” self-defense bill if it comes to him. During the lame duck session, why are legislators working to pass measures the governor has said he’ll veto?